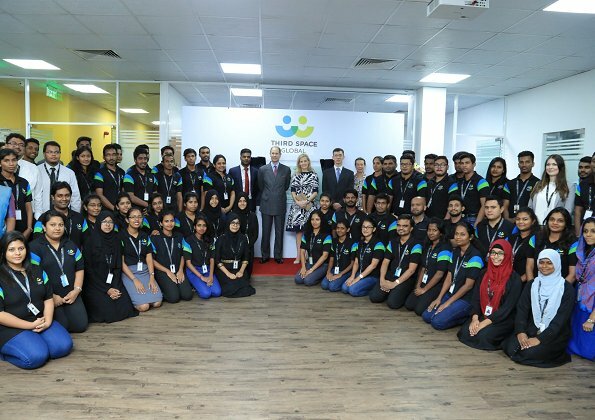 Prince Edward, Earl of Wessex and Countess Sophie of Wessex is currently making a visit to Sri Lanka. 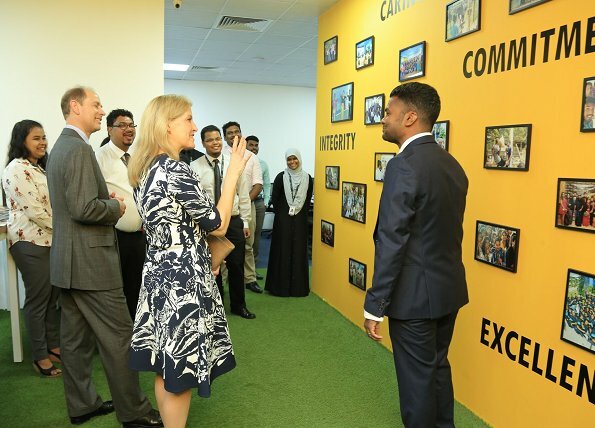 Prince Edward and Countess Sophie of Wessex arrived at Colombo Bandaranaike International Airport on Wednesday and were welcomed by Sri Lankan State Minister of Foreign Affairs, Wasantha Senanayake. 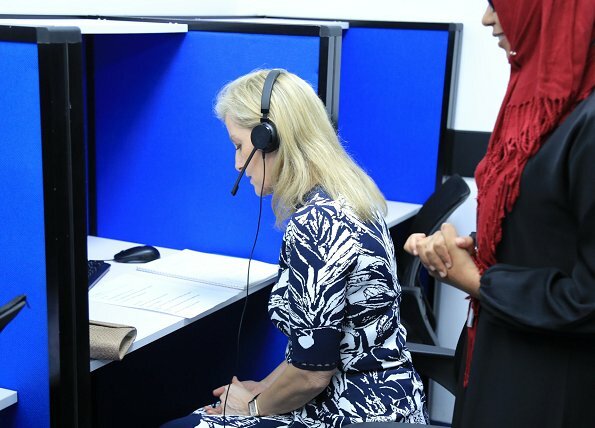 In the afternoon, The Earl and Countess of Wessex visited the British company "Third Space Global" located at Orion City IT Park in Colombo. Third Space Global supports education in Sri Lanka with free of charge e-learning centers for children and free of charge teaching workshops for teachers. Sri Lanka visit will last for 5 days. Good point, Louise. I wonder why a small shoulder bag isn't used more often (I've seen Letizia with one, I think). But then where would they put their hands? Can't win, lol. Btw, her dress is nice but her hair needs more style. Sophie looks absolutely lovely here. Gorgeous dress! Well done. Finally Sophie and Edward get a mention. Great couple and Sophie looks great!